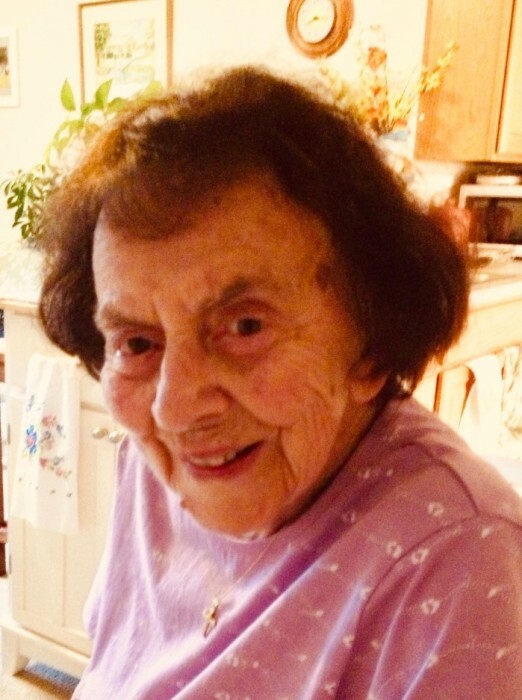 York, Maine — Jennie T. (Christie) McManus, age 101, died peacefully on February 9, 2019 at Sentry Hill in York, Maine. Jennie was a 10-year resident of Sentry Hill and a long-time summer resident of York Beach, Maine. She was born December 21, 1917 in Bangor, Maine, the only child of James and Jennie (Adams) Christie, each Albanian immigrants. Jennie was named for her birth mother, who died four days later. Her family in Bangor included her father, paternal grandmother, Nerenza Christie, and beginning in 1920, her step-mother, Eva (George) Christie. Jennie was pre-deceased by her husband of 57 years, James E. (Ted) McManus, who died February 11, 2008. In their long lives together, Jennie and Ted lived in Augusta and Bangor, Maine; Meredith, Portsmouth and Dover, New Hampshire; Stamford, Connecticut; West Peabody, Framingham, and Longmeadow, Massachusetts; and Palm Beach, Florida. Starting in 1964, they spent part of each year at York Beach. Jennie was blessed with many friends, including the residents and staff at Sentry Hill. She had a life-long love of baking and she enjoyed distributing muffins, breads and cookies to friends and family near and far. She was a very engaged sports fan, watching the Boston-area professional teams in each season and frequently offering advice to coaches and players alike. By far, football was her favorite sport and she enjoyed the latest Patriots victory in Super Bowl LIII. She leaves two sons and their families: Tim and Amy McManus of North Andover, Massachusetts; and Dr. Michael McManus and Dr. Mary Hennessy of Auburndale, Wisconsin; and grandchildren: Andrew, Chicago, Illinois; Patrick, Chicago, Illinois; Brendan, Boston, Massachusetts; Catherine, Washington DC; and Paul and wife, Ashley (Price), Springfield, Missouri. Visiting hours will be held from 5pm to 7pm on Friday, February 15th at the Lucas & Eaton Funeral Home, 91 Long Sands Road, York, Maine. A funeral Mass will be celebrated at 11 am on Saturday, February 16th in St. Christopher’s Church, 4 Barrell Lane, York, Maine. Burial will be in the First Parish Cemetery, immediately after the funeral mass. In lieu of flowers, please consider memorial gifts to the Marshfield Clinic (for childhood cancer research), Attn: MCHS Foundation, 1000 N Oak Ave, Marshfield WI 54449.